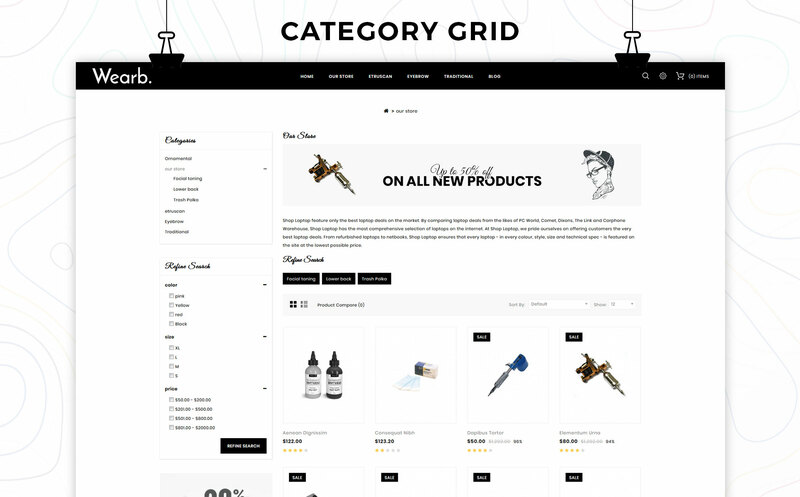 Wearb Tattoo Store Opencart Theme is built and suitable for your Tattoo and Piercing Shop. 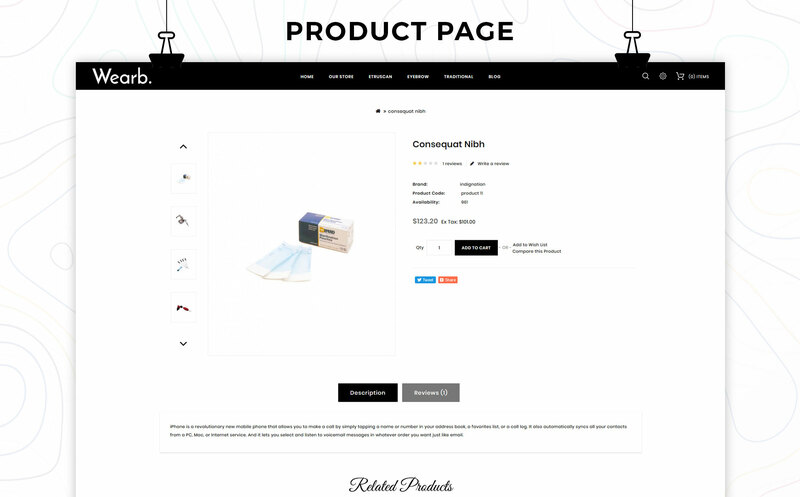 This template is built for purpose oriented design and comes with Reservation Form, Shop, Reviews, Q&A and Attractive Galleries. 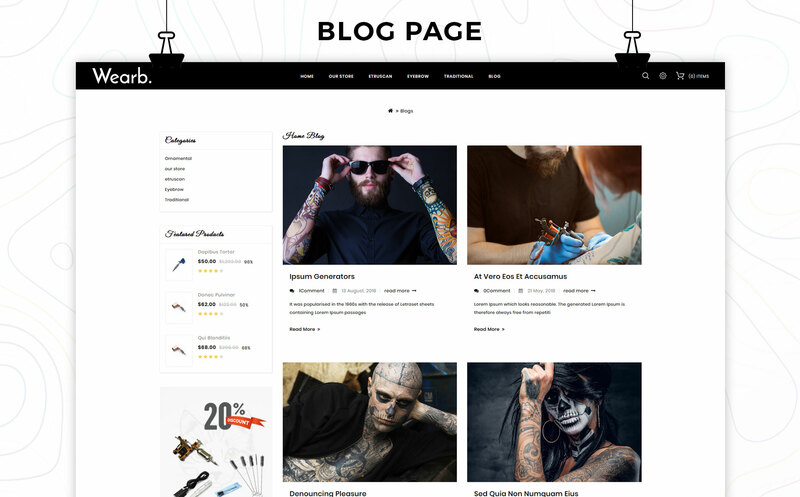 You can easily customize this theme with zero programming skills as well as advanced developers. 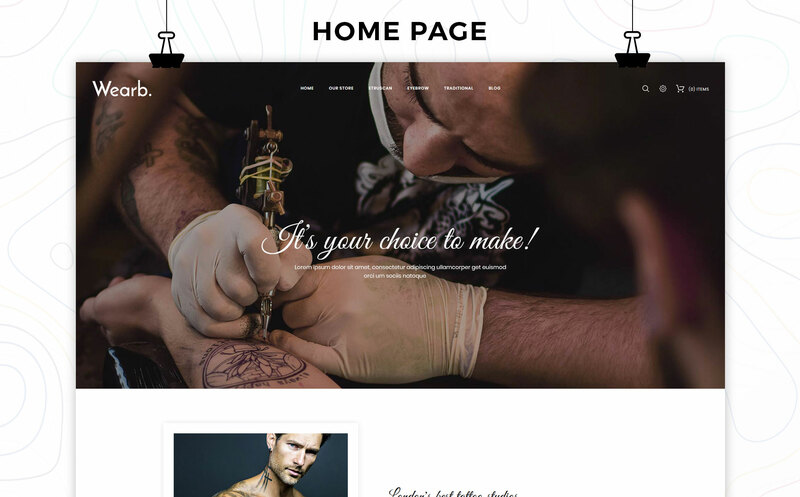 The theme is 100% responsive so it looks incredible on all media devices like iPhone, iPad etc.